I don’t know if this is just a UK thing, or even just a me thing, but Lurpak is the ultimate luxury when it comes to butter. There’s just something about a slice of freshly baked bread slathered with the stuff that comforts the soul, for me it’s the best of the best. It’s for this reason that I jumped at the chance to sample their new range of products. The range is made up of Lurpak Baking, Cooking Liquid, Cooking Mist and Clarified Butter – you can visit their website to find out more about each one in a little more detail. 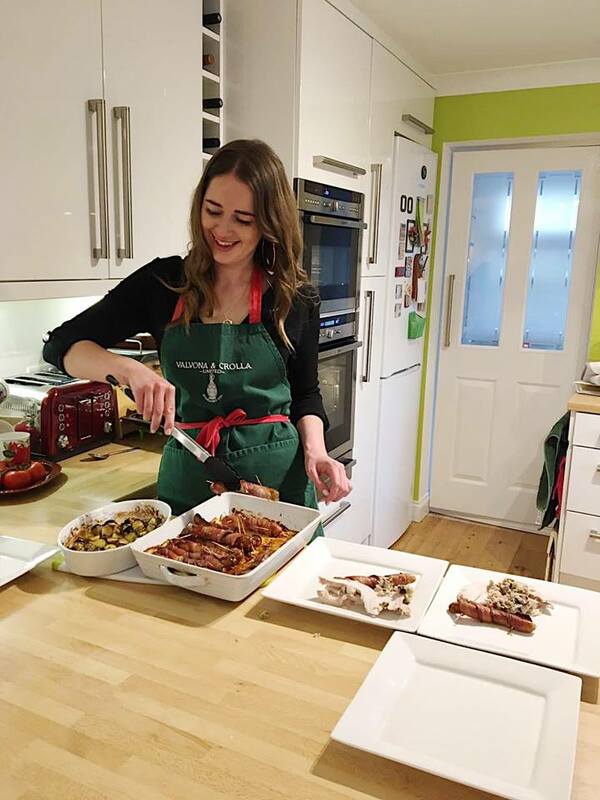 I’ve had the range in my kitchen for the past month or so to play around with it before writing up this review and I really am so impressed with each product, I couldn’t recommend them enough! I’m not sure if I’ve used the range in the way it was designed to be used, but they’ve made a huge difference to how quickly I can get stuff done so I really wanted to share my tips with you for the two products that have kinda changed my life. – You know how annoying it is to grease baking trays and cake tins and such like before baking? Yeah me too, it’s just the bane of my life. But I’ve been using this genius mist to just spritz baking trays before lining with baking parchment, saving me time and saving my hands from getting all buttery! – I don’t even know if I can admit this one but I feel it’s my duty. If I can’t be bothered to butter my toast (you know when you forget to soften it first and it becomes just impossible to spread?) I spray it with mist. There, I said it. – It’s come in really handy for roasting anything and everything, particularly sprouts. A quick spray each time they’re checked has them coming out perfect. – I used this solely for baking. It’s like butter that you don’t have to soften first, ’nuff said. It only works for certain recipes (it wouldn’t do for the rubbing in method, for example) but it was the contributing factor to a few lovely vicky sponges. You can find a ton of recipes for the range on the Lurpak website, go check ’em out! Have you used the Lurpak Cook’s Range yet? What’s your top tip? Let me know in the comments! If you liked this post, make sure you head over and like my Facebook page or follow me on Twitter to make sure you don’t miss the next one!